Zante 2018. About Zante. Zante Nightlife. Zante Weather. Flights to Zante & More! Every little helps so we have tried to give you some useful hints & tips on Zante 2018 below! Whether its the weather! Or Clubbing, or the Island we will update this page throughout the coming months! Prices are a rough guide! 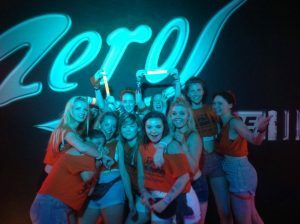 If you've booked a clubbing holiday to Zante get ready for amazing events, at good value prices (much less than Ibiza), amazing weather, an amazing holiday and the time of your life! See the very best of Zante's events right here depending on the month you're arriving! Just click on June, July or August! ​So you've spent the day chilling at one of our amazing beach bars in Zante 2018, had something to eat and some pre drinks. Now its time to get down to the legendary Zante bars, clubs & events. Entry to many clubs and bars are £5-£10 or sometimes free unless an event is taking place! Do not miss Total Karnage on Sunday's or the Zante Foam party either! Simply... HOT HOT HOT!!! From mornings until evening make sure you wear your sun scream and drink ALOT of water so you don't dehydrate after a heavy night out! Regularly the temperature is over 35c and even over 40c in hotter times over summer! Sun cream can be brought in resort but it is expensive so grab it before if you can!